Looking for some inside information about web hosting payment processing from payment processing professionals? Then you are in luck. In the next several weeks, we will be sharing tons of useful immediate knowledge on providing payment services to various businesses. Today we will start with web hosting payment processing. But stay tuned to explore a new niche every week! If you are new to this term, let’s start with covering the basics. Web hosting service is “a type of Internet hosting service that allows individuals and organizations to make their website accessible via the World Wide Web.” For it, web hosting companies offer the business owners servers for rent or lease in their data centers. In case of a shared server, your website shares the server with a number of other websites. The number of these websites might vary from one or two to hundreds and even thousands depending on the terms you agreed on with your provider. The advantage of this type of servers is their cost. Since a lot of websites are using the same server, its price might get as low as $5/ month. As a result, this type of servers is most suitable for companies with limited budgets. The other type of a web hosting server is also known as a VPS. If you opt for a VPS, your website will share the server with other sites. However, though the physical server is just one, there are multiple virtual servers on it. The number of websites hosted on a VPS never (or barely ever) exceeds 20. 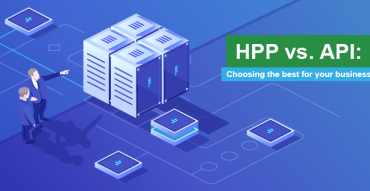 Finally, this is considered to be the best hosting server type for big players. As you understand from the name, you have this server for yourself and don’t share it with anyone else. This results in great speed and top-notch security. However, paying for it only makes sense if you are a big company that can shoulder the price. But there is more to it. It’s worth to mention that in recent years, merchants have been using the service side of the web hosting. As a result, webmasters have well shifted in the cloud technologies making the above-mentioned differentiation slightly outdated. Web hosting is a billion-dollar business. More than a billion websites registered online each of which requires hosting to be up and running. That is why web hosting business owners are always on the lookout for cheaper yet high-quality payment solutions to process their customers’ transactions. What do they need from their payment service provider? We’re about to explore this! There are several key features every web hosting business owner expects to see in a payment gateway. The abundance of alternative payment methods. Web hosting is global. And to meet the needs of clients from all over the world, one has to offer various alternative payment methods. That is why consider opting for a payment service provider with a wide range of payment methods. The most popular ones are PayPal and Skrill payments. But don’t stop just there. Analyze the geography of your customers and set up methods most suitable for them. Thus, the payment preferences of customers from Europe will differ from those living in Asia. And don’t forget about e-wallets. They’re gaining their momentum right now. 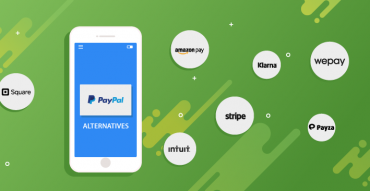 Having them on the list of available alternative payment methods will help you stay at least a few steps ahead of your competitors. Most webmasters offer their clients recurring billing model. Thus, a payment service provider unable to set up this payment model automatically drops out of the race. Since the fee for web hosting is often billed monthly, the payment gateway should have this functionality on hand. Besides, it is important that the software automatically charges the customer every month even if he forgets to pay for it according to the agreement. This point can be a real pain in the neck for webmasters. And remember that recurring billing comes with a set of other features required for smooth subscription payment model. For instance, here at Ikajo International we also support multiple retries, smart routing, and soft declines management. And there’s one more thing. We also find it essential to mention the smart recurring billing as an important feature every webmaster expects. It takes place when the transaction has already been approved but for some reason (e.g. insufficient funds) it did not go through. Then the smart recurring billing software either deducts this amount on the other day, or deducts a smaller amount. Interesting fact: studies have shown that most consumers have funds on their accounts on Friday nights. That is why a lot of merchants using the subscription model deduct funds from their accounts at this time. Web hosting services though being a billion-dollar business are not as expensive as one might expect (unless a webmaster happens to have many clients using his dedicated servers). Therefore, merchants are looking for payment service providers that will not rip them off with their commission per transaction. A key to profitability both for a payment service provider and a webmaster lies in the long-term collaboration. A wide range of currencies available. 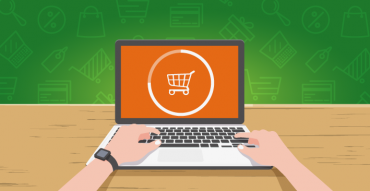 It is best to offer a wide range of currencies so that the webmaster receiving payments from all over the world doesn’t have to pay extra cash for conversions. Moreover, think of local payment methods suitable for each segment of your target audience. A webmaster receives funds from various sources and via numerous payments methods. And it is easy to lose track of the financial situation. That is why webmasters expect the payment service provider to conduct reconciliations on a regular basis. PSPs do that to ensure that no transactions vanished in the information flow between the bank and merchant’s account. We know how frequent disputes can be a pain in the neck, especially in the web hosting business. Disputable matters often raise between the webmasters and customers. For this reason, we have decided to offer a partial refund feature to ease the lives of webmasters. It’s just as it sounds. The pricing established at the beginning of the collaboration between a webmaster and a payment service provider will not change over time. PSPs (at least reliable ones like Ikajo International) guarantee that hidden fees will not be an issue. These are but a few of the key features every webmaster wants to see in his payment service provider. For more professional insights on the needs of merchants from various business industries subscribe to our news and stay tuned! Hey! Thanks for the article. I finally understood what Virtual Private Server (VPS) is all about.